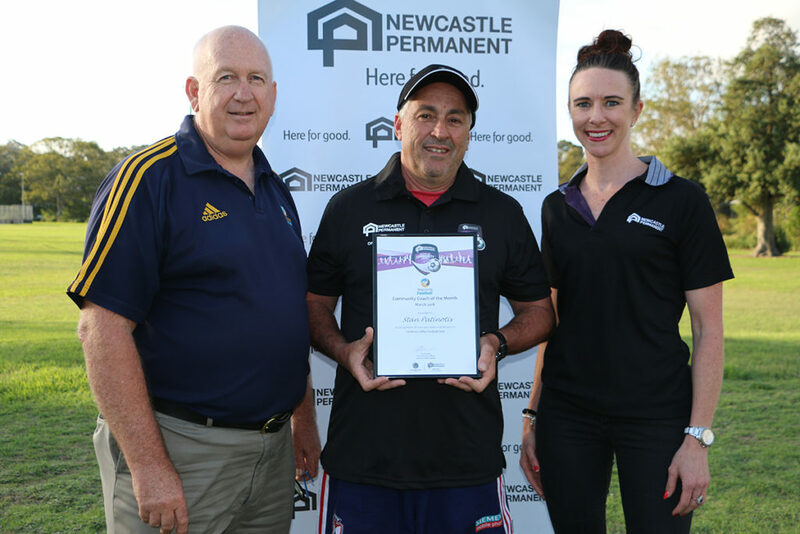 Northern NSW Football (NNSWF) is pleased to announce the Newcastle Permanent Coach of the Month for March 2018 across the zones. Football enriches character, intelligence, coordination and skill and each season, brave men and women step up to the plate and take on the task of helping our young athletes reach their potential: The Coach. “A good coach is one of the most important elements in the football experience had by our players. It is important that coaches like this months winner continue to provide players at their club with safe and enjoyable sessions in order to develop a love for the game and continue to have the best football experience possible,” Community Football Manager, Peter Haynes said. 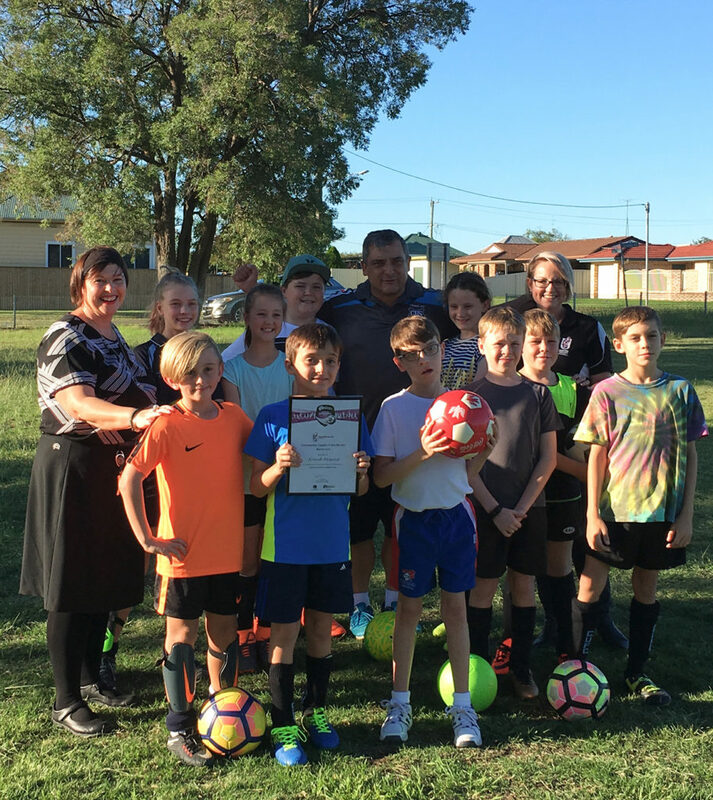 Each month, one registered coach from each of NNSWF’s seven Member Zones will be awarded the Newcastle Permanent Community Coach of the Month award. Each winner will receive a Newcastle Permanent Community Coaching kit consisting of 6 balls, 20 markers, 10 bibs and a whistle, as well as a polo shirt and cap, to assist in fulfilling their roles at their respective club. At the end of the season, each Zone will nominate one community coach from their pool of winners, to represent their Zone for the opportunity to be named “Newcastle Permanent Community Coach of the Year” announced at NNSWF annual awards night. Newcastle Permanent Chief Executive Officer, Terry Millett echoes Haynes sentiments and applauds those who received the award. “Newcastle Permanent is proud to support community football across Northern NSW and, through our Community Football Awards, to recognise the efforts of a local coach who demonstrates such passion and dedication to developing his team,” Millett said. 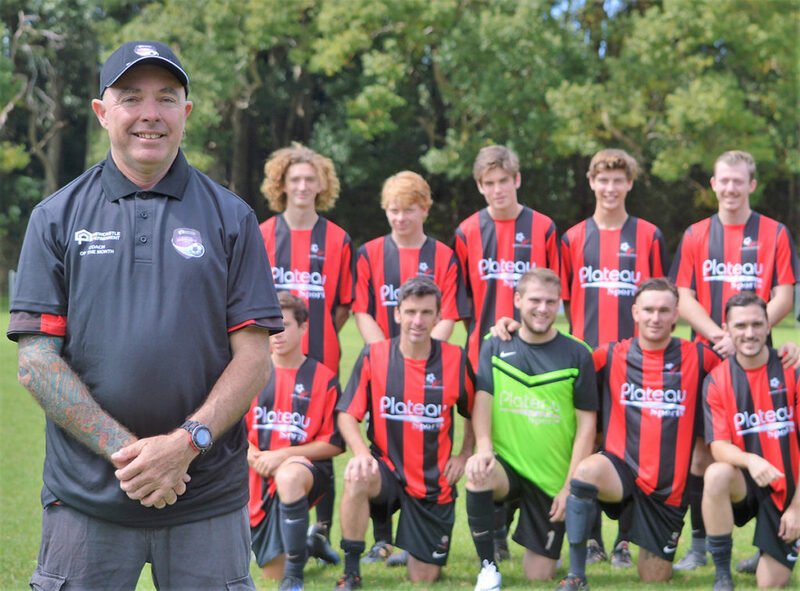 Andy Brown has been a coach of the Alstonville FC for many years. Last year (2017) he took on the role of coach for not only the under 16’s girls but also the Men’s Premier and Reserves teams. This year he will also be involved with the Women’s Premier team. Andy is described as “an amazing coach who gives his absolute all for football and the development of juniors and the future players”. Mick has been coaching children and coaching (as well as playing) over 35’s at the club for many years and has been a wonderful influence on lots of children. He is a fabulous volunteer and can’t do enough for the players that he coaches. He also makes every effort to improve his coaching via seminars and FMNC coaching courses. One member refused to play unless she could play in Mick’s team! Children and parents extremely grateful!! Frank is the most caring coach to the children, he is the best role model to each of them. He is so appreciative to the parents even though he does all the work. He is by far the best coach I have ever come across! Supportive of all, including kids with disabilities. He is fair and has all the kids on and off the field no matter what their abilities are. He goes above and beyond helping the kids learn not only the skills for soccer but teaching life skills in the process. He has had things going on in his personal life which would have prevented nearly all of us to stop, but he is there still encouraging and supporting our children. I know my son would not be still playing if it wasn’t for Frank. Liam is only a teenager himself but coaches the boys with great maturity. He inspires them to believe they can always improve and achieve great things. He has taken a group of individuals and turned them into a close-knit and high performing team and the way they play the game is a pleasure to watch. A testament to Liam’s coaching is the enthusiasm the boys display in everything they do on and off the pitch. Last year my son played soccer for the first time. We were apprehensive as our son has mild cerebral palsy, but he desperately wanted to play soccer. It was a rocky start to the year, two weeks before the start of the season I received a call from our local club to say they didn’t have enough players for a team. I rang around to see if a club had a spot for Dylan. We were so lucky to find a great club, amazing coach and fantastic team. Why is Stan such an amazing coach? He took a group of kids that hadn’t played together before, he not only developed their on-field footy skills, he also taught them about the importance of teamwork and respect. Respect for each other, the other team, referees and their parents. Stan treated Dylan like every other player on the team. He gave him extra support without making it obvious and encouraged him every week. Dylan thoroughly enjoyed the season. Throughout the season the team had their ups and downs but they stayed on focused on giving their best each week. For our family, the highlight came in the last game of the season when Stan gave Dylan the opportunity to play up front and score a goal. It meant so much to Dylan and to us. One of the Dad’s managed to capture the goal on video. The best part was Stan the coach running into the field to congratulate Dylan. It was just a wonderful end to a great season of soccer. It is really important for kids with disabilities to be included in their local sport. Dylan is playing again and has been lucky to get Stan as a coach again. Here’s to another great season. Sport isn’t about winning, it has the opportunity to teach kids so much more. Adam is a wonderful coach who is caring and committed. Adam inspires those that play in his team and encourages them to do their best and to be inclusive. Adam is skilled in not only the technical side of coaching but also his communication. Adam is able to manage extreme parents and bring them to the side and to understand that the game is to encourage and not reprimand children. Children are there to learn many skills and to have fun and it is not about “winning at all costs”. Adam recognises that there is a mixture of ability and Adam caters to all and makes sure that every player is included and feels valued. Adam makes sure that everyone is able to get to games and that transport is not an issue. Adam works as a Police Officer but ensures that no matter what his shift, he is able to be at games sometimes despite having had little to no sleep. Adam also organises so that players can participate in gala days and other opportunities. James is an incredible coach and member of NIF. He goes above and beyond for every kid involved in the club from the bottom to the top. He always puts his best foot forward for the kids and encourages everyone within Armidale to play football. He is the kindest man who would do anything and everything for the game. He is an advocate for female football and always helps out as much as he can for the club. James is a deserving winner for the Coach of the Month Award.